How Lifting Weights Will Help You Lose Weight. Just because you don't have 21-inch arms doesn't mean you should be avoiding the weight room. Lifting weights helps with stress, body fat, heart disease, cancer and it's also the most effective way to get your dream body. Yet somehow women are still hesitant: Only about a fifth of females strength train two or more times a week. Won't I lose more weight by doing just cardio? If you think cardio is the key to blasting belly fat, keep reading: When Penn State researchers put dieters into three groups—no exercise, aerobic exercise only, or aerobic exercise and weight training—they all lost around 20 pounds, but the lifters lost six more pounds of fat than those who didn't lift weights. Why? The lifters' loss was almost pure fat; the others lost fat and muscle. Other research on dieters who don't lift weights shows that, on average, 75 percent of their weight loss is from fat, while 25 percent is from muscle. Muscle loss may drop your scale weight, but it doesn't improve the look of your overall physique and you more likely to gain back the fat you lost. But, if you weight train while you diet, you'll protect that hard-earned muscle and burn more fat. Research shows that between the ages of 30 and 50, you'll likely lose 10 percent of your body's total muscle. Studies show that you will replace the loss of muscle with fat. This will result in an increase of your waist size, because one pound of fat takes up 18 percent more space than one pound of muscle. Lifting weights speeds up your metabolism, which means that you will burn more calories doing your daily activities as opposed to not lifting weights. 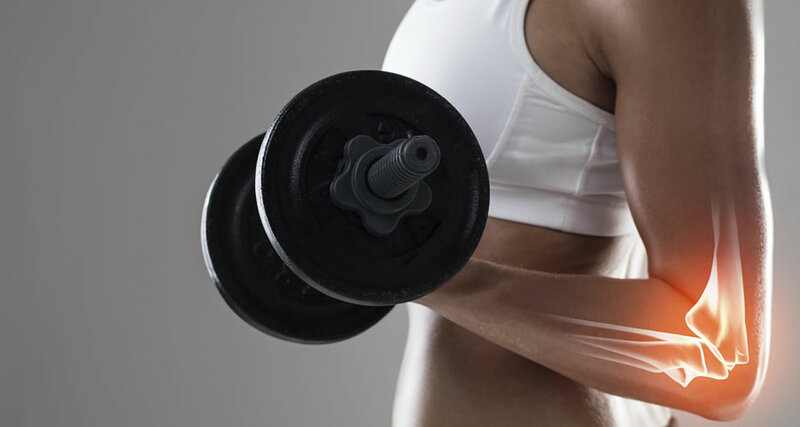 This is because after each weight lifting workout, your muscles need energy to repair their fibers. In fact, researchers found that when people did a total-body workout with just three big-muscle moves, their metabolisms were raised for 39 hours afterward. They also burned a greater percentage of calories from fat compared with those who didn't lift. Lifting gives you a better burn during exercise too: Doing a circuit of eight moves (which takes about eight minutes) can expend 159 to 231 calories. That's about what you'd burn if you ran at a 10-mile-per-hour pace for the same duration. By lifting weights you'll stay cool under pressure. Scientists determined that the fittest people exhibited lower levels of stress hormones than those who were the least fit. Another study found that after a stressful situation, the blood pressure levels of people with the most muscle returned to normal faster than the levels of those with the least muscle. Researchers found that people who performed three weight workouts a week for six months significantly improved their scores on measures of anger and overall mood. A 16-week study found that performing resistance increased hip bone density and elevated blood levels of osteocalcin- a making of bone growth- by 19 percent. This will decrease your likelihood of one day suffering a debilitating fracture. Don't think of cardio as only aerobic exercise. Studies have found that circuit training with weights can raise your heart rate by about 15 beats per minute higher than if you ran at 60 to 70 percent of your max heart rate. Circuit training with weights not only strengthens your muscles but also gives you similar benefits to those of aerobic exercise. Studies from the University of South Carolina found that a total-body strength will lower your risk of death from cardiovascular disease and cancer. Other studies have found that having higher muscle mass during middle age is associated with "exceptional survival" defined as living to the age of 85 without developing a major disease.